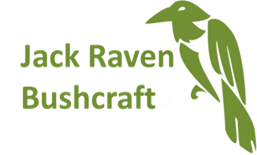 As well as teaching our scheduled courses, we often undertake private group bookings and occasionally provide training on a 1:1 basis. We’ve done 1:1 training a couple of times this year now, once in August when we taught the IOL Foundational Bushcraft course (which we wrote about here), and then again yesterday. Yesterday was a little different however; I was teaching axe skills to a 14 year old boy, Ollie. His parents had bought him a Gransfor Bruks small forest axe for Christmas and his parents wanted him to get some instruction in how to use it. 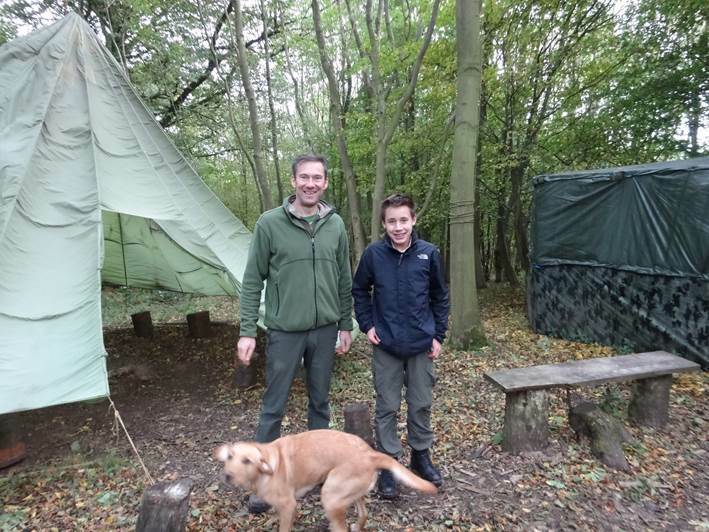 Ollie was a great kid with plenty of bushcraft experience under his belt for his age. He has been fortunate enough to have access to some private woodland and has spent many a night out with a friend the same age. Unfortunately the woodland has changed hands and the new owner isn’t as keen. I decided to concentrate on a few key skills with the axe and started off with splitting wood on a stump (I wrote a post on this here) using both hands on the axe and also using the axe one handed in conjunction with a sissy stick. (I never understood why people use that name, seems to make sense to me!) We chopped wood down to pretty small kindling. 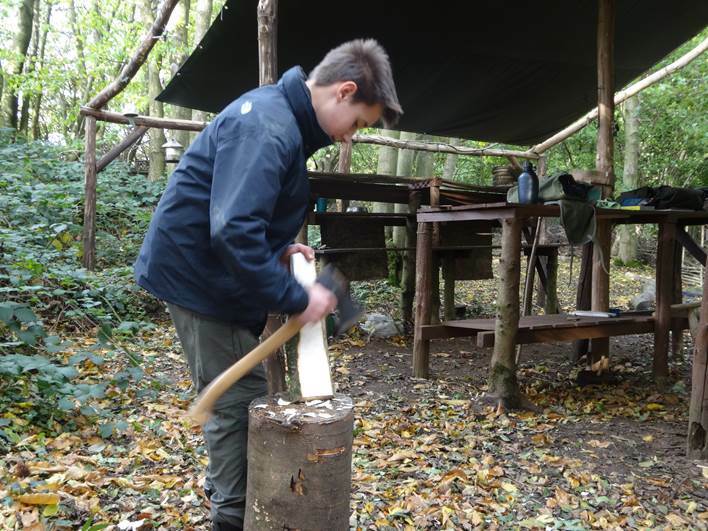 After that we took a look at sharpening; I use a circular axe stone whilst Ollie brought a DC3, so we used both and Ollie got a good edge on his axe with his DC3. After looking at safety aspects and other considerations, we felled a small birch (in line with our woodland management plan), and snedded it. We took a break for lunch at this point and then headed back to our birch where we cross cut the trunk, as described here. Once we’d cut the birch into manageable sized lengths, we carried it back to camp. We spent the rest of the day carving spatulas; carving is a great way to re-enforce tool skills. So all in all, a great day!